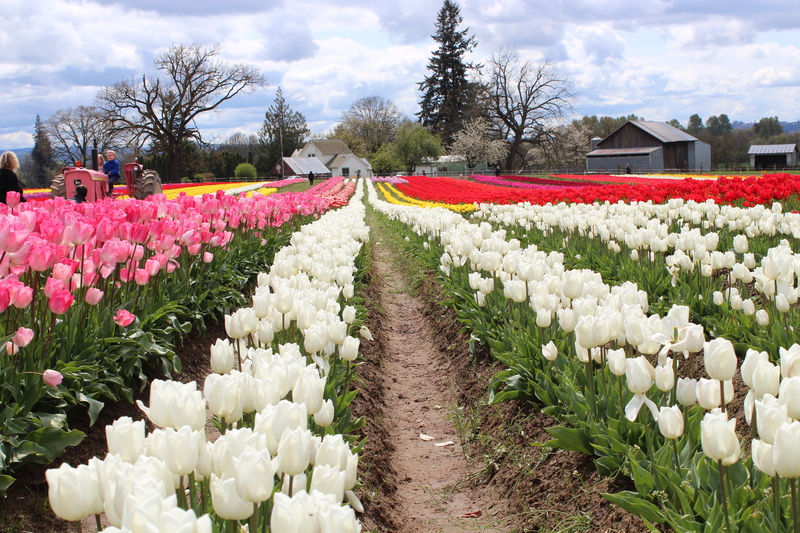 Every spring, we go to a tulip festival at a local farm, just ten minutes out of town. The first time I saw it, I felt like I had stepped into a photo of Holland: rows and rows of tulips in every shade imaginable, from brilliant magentas and flashy oranges to yellows as soft as baby chicks. Most years, the ground is so muddy you not only need rubber boots to get through the fields, but a trash bag in the car to put the mud-caked things in afterwards. This year, we’re having an uncharacteristically dry spring (which, although bad for farmers, I am reveling in), and the rows of flowers were dry enough for flip flops. Imagine. I got a few decent photos, although the setting made me sigh in longing for an afternoon without a wriggling, almost-walking, getting-into-everything baby and a rambunctious four-year-old. It was more fun with them there, though, even if I couldn’t handle a camera very well. After a sun-soaked day like this, I love an easy meal. I’ve had a hankering for fruit and spice lately, and this recipe is the perfect combination. 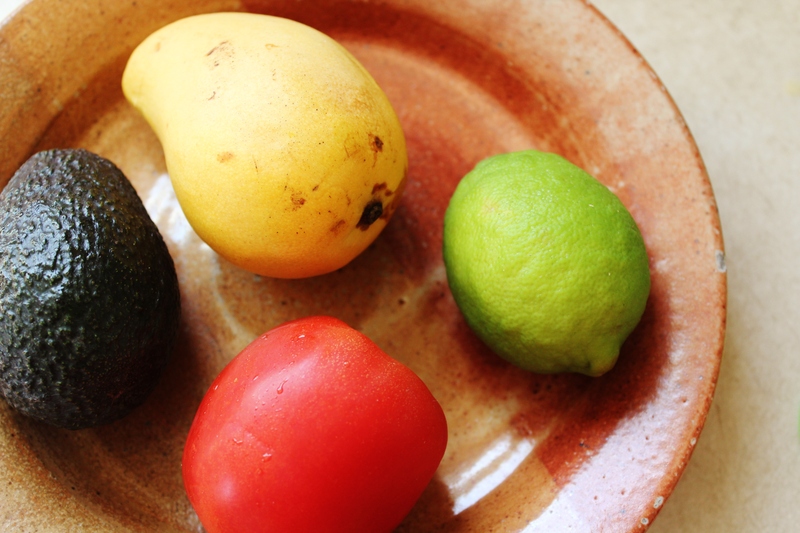 The mango is sweet against the heat of the onion and green chile, and the lime gives a lovely burst of citrus. It’s the sort of condiment that can easily become the centerpiece of a meal. It’s great with chips, of course, but I love it with black beans in warm corn tortillas or on poached fish (try catfish or halibut). You could try all sorts of interesting things with wraps and pasta salads. It’s also dynamite on these black bean burgers. If you come up with any new uses, let me know. I’d love an excuse to make this more often. Oh, and one more thing: Virtual Vegan Potluck is back! It’s a blogathon of vegan recipes, all linked together from starters to dessert. Stop by on Saturday, May 11, to see the main dish I’m bringing this time. Special Diets & Allergies: vegan, vegetarian, dairy free, soy free, nut free. Hurrah! 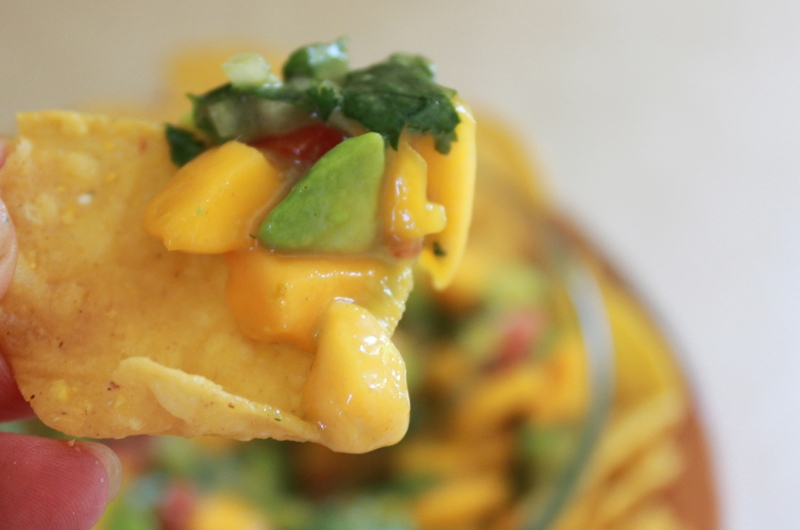 This flavorful salsa is sweet and spicy and fast to make. Try pairing it with black beans for a quick taco or serving it alongside chicken, tofu, or fish. The heat level will vary depending on how many of the seeds you leave in the green chiles. The more seeds, the hotter it will be. If you can’t find fresh, roasted green chiles, you can use canned ones with good results. This is best when left to sit for several hours, as the flavors meld overtime. If you’re in a hurry, though, don’t hesitate to serve it right away. 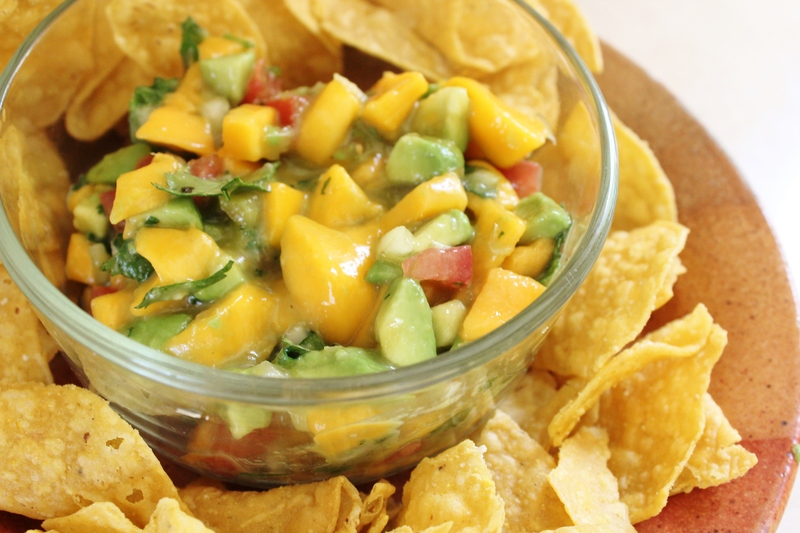 Manilla mangos, which have a bright yellow skin, are extra sweet and go well in this recipe. If you can’t find them, though, the more typical green and red variety will work. 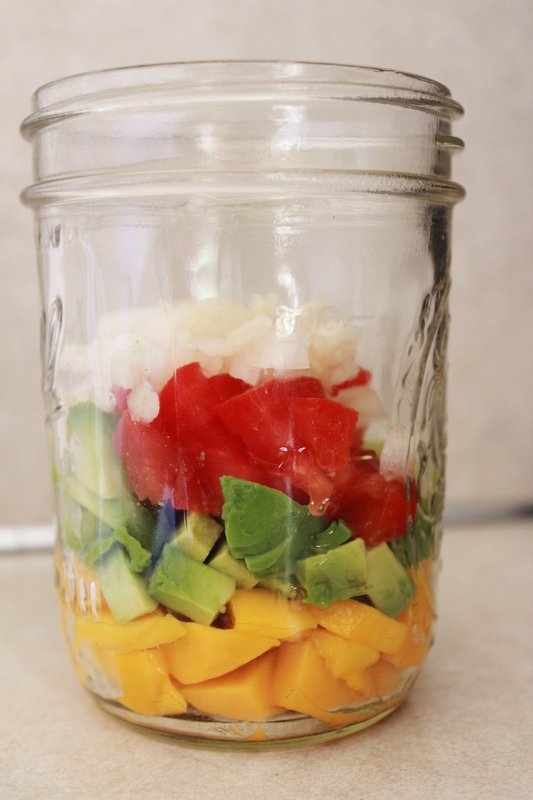 Make sure the mango and avocado are ripe, but use a slightly under ripe tomato or else its flavor will overwhelm the others. For the same reason, go slowly with the lime. Try a few squirts and then adjust upwards from there; too much, and it will drown the other flavors. Combine all of the ingredients. Let sit for 1 to 6 hours. Serve. Looks delicious, Rosalie! And that tulip festival looks amazing. I’ve never been to one. Someday, for sure! Also, yay for dry spring! Is it usually very wet this time of year in San Francisco? I would love to come visit sometime. Tell you what: you come to the tulip festival here, and I’ll come there for a weekend.